Technology has enabled home buyers to locate a property practically anywhere in the world from their computer or mobile device. In addition, you can find a great deal of information about a prospective home on the Internet. You can research the neighborhood, assess the market value, and even take a look around inside the house. Some sites offer a virtual tour or a video that takes you around the interior of the house. Technology has clearly facilitated the home-buying process. It’s much simpler and faster to find your ideal home. Technology enables buyers to search quickly for a home in any area they choose. The results can be filtered according to the number of bedrooms, bathrooms, or special features such as a pool, fireplace, or Jacuzzi. Realtor can still be helpful in the search. They are experienced at pricing and negotiations and can wade through the paperwork associated with the purchase. A Realtor can also ensure that the closing is completed successfully. If you prefer to enlist the services of a Realtor, they’re easily located on the Internet. Realtors tend to specialize in certain types of homes. 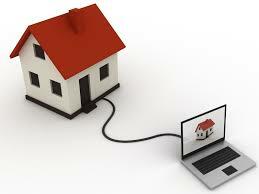 Technology permits potential home buyers to research the value of a home, as well. This can help you determine if the home is priced appropriately for its value. The Internet offers easy access to county tax appraiser’s offices, where the assessed value is listed. A number of sites provide market reports and comparable sales. Potential buyers can take advantage of technology to get information about the site as well as demographic data about the neighborhood. Websites such as City-data.com provide statistics on the income and education level of the residents in a neighborhood. They also offer information on crime statistics, libraries, schools, hospitals, and other resources available in the area. GIS mapping can be found online which displays surface maps of the area where the home is built. This can forewarn you of potential problems such as sinkholes or soil shifting that can cause structural issues. Google Earth provides street views that allow buyers to take a look at the neighborhood from any location. Closings have been greatly facilitated by technology. Paperwork gets faxed or scanned and e-mailed. Funds can be transferred electronically. Offers are made with smartphones. The web has enabled much faster transfer of information, which makes the process less time-consuming and reduces errors.